Nothing punctuates a trip to Disney like a good t-shirt telling the world how you feel about it. Wear your thought bubble on your shirt with a #snackgoals, Rose Gold Love, Let’s Do This, Adventure Is Out There, I’m So Fly I Neverland, or a My Oh My What A Wonderful Day Tee! 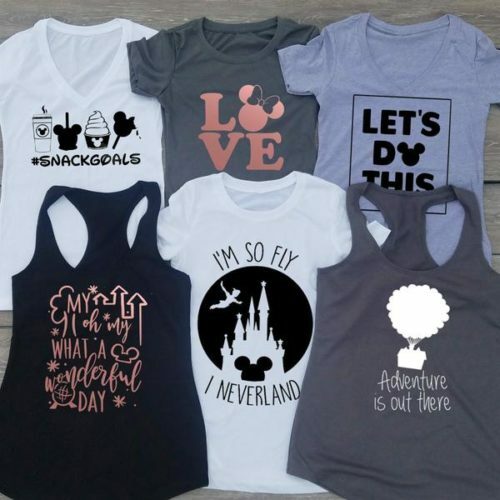 And check out our other Favorite Disney Tees here!